What is Python OpenCV Module? Today, I am going to write about a very interesting and useful module related to Computer Vision Topic Known as OpenCV Library. Q 1. What is OpenCV module? Ans. OpenCV stands for Open Source Computer Vision Library. Open CV Module Provides us an Advance Way To Access 2D And 3D Features With Hundreds Of Computer Vision Algorithms. With OpenCV Lib, Developers Can Easily handle Image Processing Related Function Without Doing There hand Dirty With Internal Image Processing Algorithms. In Simple Words, Open Cv is an open source project that helps developers in accomplishing various types of goals related to Computer Vision Library in Easiest Way. Let Me Provide You Quick View Of Important Function. OpenCV Module Provides one of the easiest ways to handle Video Processing. With OpenCV module, Video Processing is like a piece of cake because OpenCV also provides live video processing capabilities. Real Time video processing includes like Face Recognization, Object Recognization, Recording Videos Etc. OpenCV is written in C/C++ With Optimization Facilities, Support wide Variety Of Hardware Types. In a simple way, OpenCV has the ability to use maximum hardware processing power in the easiest way. And Also, OpenCV also provides the ability to Handle Various Types Of Camera Hardware Devices And Other devices. So, With OpenCV Modules, Developers Don't Need To Worry About Low-Level Processing And Camera Hardware Support. Supported Operating System: Windows, Many Linux Distro, Mac, IOS, and Android Also. Q 2. What Is Python-OpenCV? Ans. 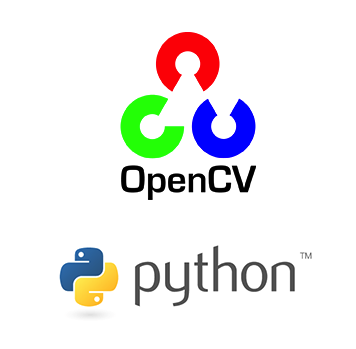 Python OpenCV is Just A Python Wrapper Over OpenCV Module. Python OpenCV provides the easiest API to control and access various function and capabilities of OpenCV module. So, With The Help Of Python OpenCV Wrapper, A Python Developer Can Easily Use OpenCV module facilities In Python Platform Also. Q 3. How To Install OpenCV In Linux?